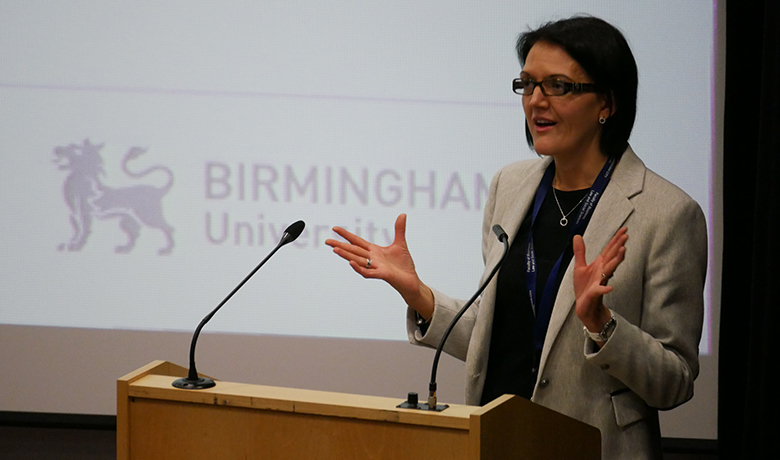 Students at The Sixth Form College, Solihull got a taste of an undergraduate lecture last week, with a talk on Criminology and Missing Persons from a professor at Birmingham City University. Students on the A level Economics, Sociology, Psychology and Health & Social Care courses packed out the College lecture theatre to hear Professor Elizabeth Yardley talk. She explored the relationship between missing persons (particularly missing children) and victims of crime and used some well-known examples to demonstrate her points. Cases such as the disappearance and murder of Milly Dowler, the abuse and killing of Victoria Climbié and the on-going case of Madeleine McCann illustrated the correlation between children going missing and being victims of crime in a way the students could all understand. The College is adding a Level 3 Diploma in Criminology (equivalent to an A level) to its curriculum in September. However the subject of this presentation dovetails well with current social science subjects, particularly the A level Sociology course. Applications for the new Criminology course are currently being accepted. The deadline for all applications to be received is Friday 30 March.